The Chancel Choir brings the ministry of music to the 11:00 a.m. traditional worship service. They sing a mixture of classic and more contemporary anthems. This wonderful group of people enjoy each other's company as they share their gifts with the congregation. The handbell program brings an added dimension to the congregation's worship experience. Four-octaves of handbells enhance Alps Road's worship experience with musical selections of all types. This dedicated group of people add a great deal to the morning worship. The music in our 9:00 a.m. 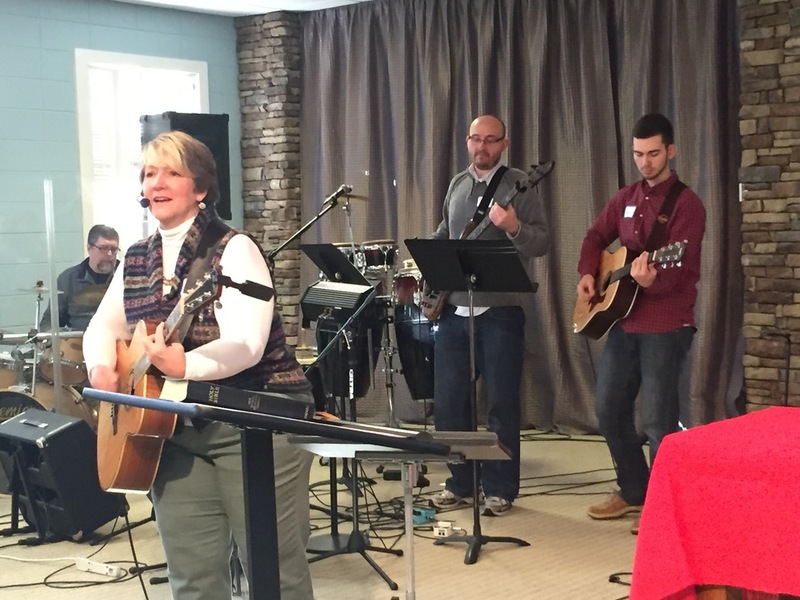 Contemporary Worship Service is led by Amy Rejmer and the Praise Team. Their worship music is easy to listen to and invites us to engage in worship as we sing God's praises. They sing a variety of classic praise music along with the latest new songs. We invite you to become a part of our music and worship ministry family. Within our music and worship ministry you will find opportunities to serve, worship, sing, play, and grow for people of all ages and experiences. For more information about the Chancel Choir, contact Emma Pettyjohn at emmakpj@bellsouth.net. For information about our contemporary Praise Team, contact our Praise Team Leader, Amy Rejmer @ amyrejmer@charter.net.